In May of 2018, I had the privilege of recording a full orchestra for the score of “The Library of Things”. After the session was done, we still had some time left, which gave me the opportunity to pick up the baton (or in this case: pencil) myself to conduct the orchestra for a run-through of the opening cue of the film. 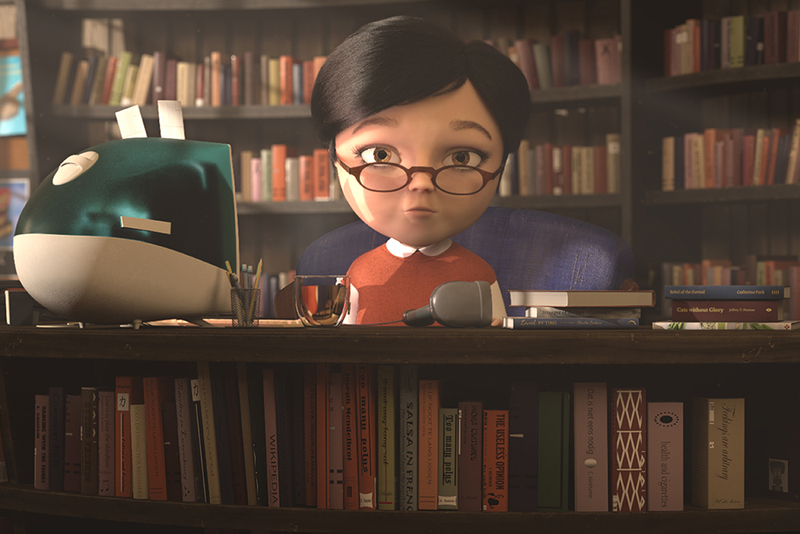 “The Library of Things” is a 3D-animated short film, and was part of my graduation from the master Composing for Film at the Conservatorium of Amsterdam and The Netherlands Film Academy. For the music of the film, I was awarded the very first “Keep an Eye film score award”. The graduation festival kicked off today with quite the awesome surprise. My score for “The Library of Things” was awarded the first ever ‘Keep an Eye film score award’! Absolutely thrilled, surprised and thankful for this amazing honour. Many many thanks to the judges, the Keep an Eye foundation, my teacher Jurre, my classmates and of course the full crew of The Library of Things for having the faith in me and for making a truly gorgeous film. Come to see it in Block D! After 2 years of hard, hard work (which makes 6 years in total) I’ll be graduating from my master’s degree in Film music Composition next week during the ‘Keep an Eye film academy festival’ in EYE film institute in Amsterdam. I’ve had the privilege to write music for 4 amazing films, and I’m very happy that we can finally share the result! I’ll probably be in EYE the entire week, enjoying the fact that it is done, so if you’re there, let me know! The films I wrote the music for are Bladgoud, zelf, The Library of Things and Swimming to the Moon. For this film we’ll present a masterclass as well, in which the entire making process of the film will be explained. Friday from 11:00-12:30. Tickets can be aquired through the website of EYE.